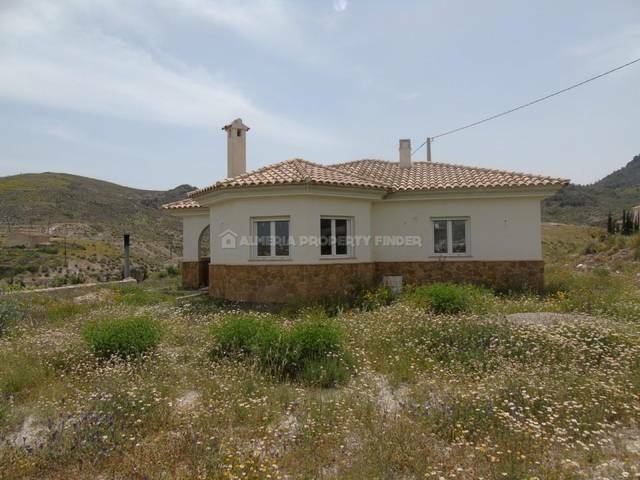 Off Plan: Single storey 3 bedroom villa of 116m2 construction to be built on a choice of plots in the Arboleas area. The villa will be built to a high standard using quality materials. From a covered porch, the front door opens into a lounge / dining room with corner fireplace. Off the dining area is a kitchen which will be fitted with a range of units, a hob with extractor, an oven and a sink. 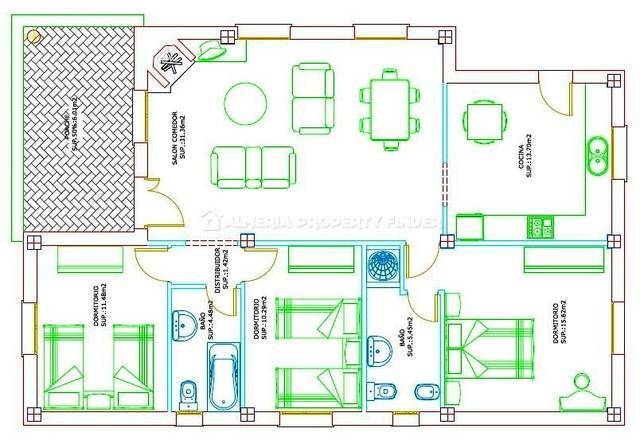 To one end of the living room, a door leads into the master bedroom with ensuite shower room, and to the other end a hallway gives access to two further double bedrooms and a separate family bathroom. Two fitted wardrobes are included in the price.